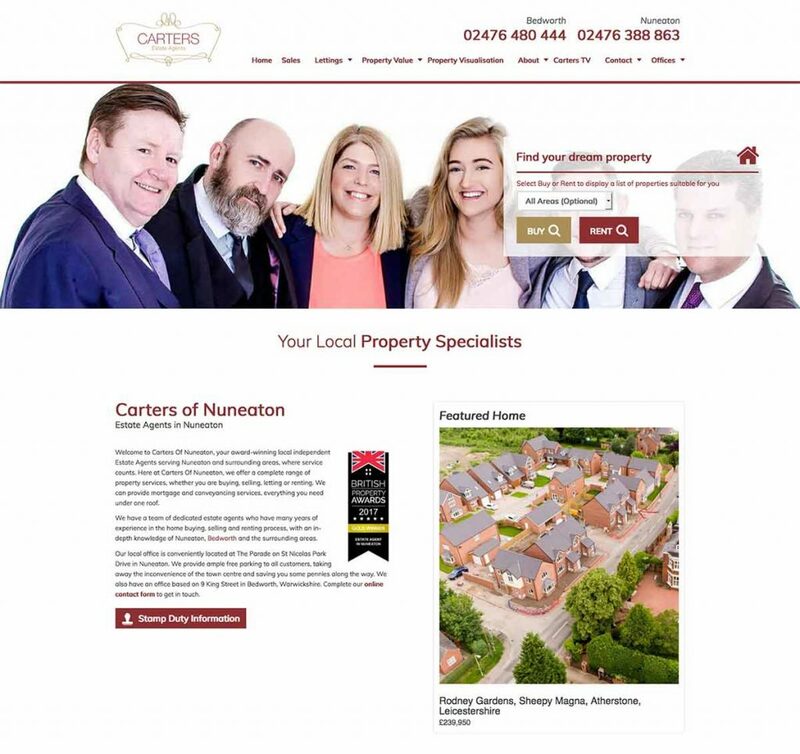 Carters of Nuneaton joined us as an SEO customer. Their main objective was to improve the keyword rankings of their website for the terms “Letting Agents” and “Estate Agents”, in the areas of Nuneaton and Bedworth. The other objective, essential to measuring the success of the SEO, was to improve the amount of traffic to the site and the number of conversions. We started by analysing the existing content on the site and made improvements where necessary. The quality of the area pages was significantly improved to help target specific keywords and to improve the user friendliness of the pages. The next steps were to utilise local directories and to optimise the Google My Business listing. The directories provided Carters with high quality links and gave search engines a greater awareness of the business. These helped to generate more traffic and improved search positions. Since starting their SEO campaign in 2017, we have seen significant improvements to their keyword rankings. 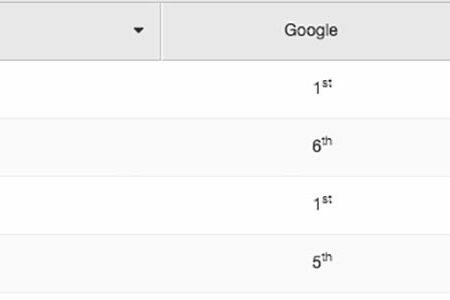 All of their target keywords are now ranking on page 1 of Google, 2 of which are in 1st position. 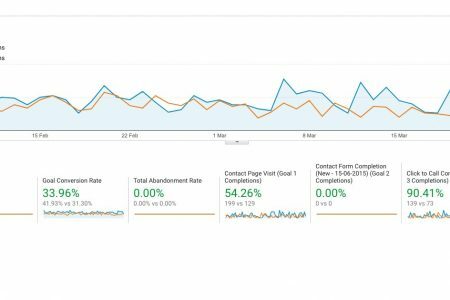 Through the use of Google Analytics (GA), we can compare the data from February and March 2017 to February and March 2018. By comparing the two time periods, we can see that page views are up by 10% year on year. 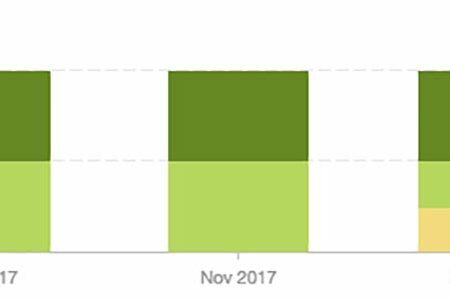 Combined with a 27% increase in average session duration, we are led to the conclusion that not only are we attracting more users, their engagement with the site is better too. Our primary goal completions are measured by the number of property searches, contact page visits, the amount of contact form completions and click-to-call tracking. The data provided by GA shows us that the total number of goal completions has increased by 29%. We can also see that the goal conversion rate has increased by 34%, a further indicator of improved user engagement. In addition to this, we believe that more users are finding what they need on the site as contact page visits are up by 54%.